"Hill 789: The Last Stronghold" / "Cota 789: Ultima Reduta"
Copyrighted © by Kogainon Films/ A Division of BEH llc (Cambridge, MA). No materials from this website may be reproduced without permission of the authors. Because World War One is now a distant memory, it is the job of writers, artists, and filmmakers to bring back events of those times that changed the fates of nations. 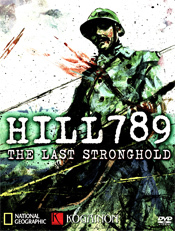 The battle on "Hill 789" is one of these events. 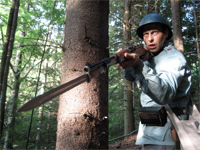 Presented as one man’s story, the documentary follows the Eastern Front experiences of Dimitri D. Dimancescu as he volunteers to defend his homeland. The story takes place between August 1916 and December 1918. Kogainon Films has taken great effort in the depth of research and artistic interpretation of this documentary. Central to this film is an understanding of the Romanian spirit which drove 350,000 young men to give their lives and 150,000 more to have been wounded or lost in combat. The Dec 2008 National Geographic (Romania) featured the WW-I memoirs of Dimitri Dimancescu authored by Dan D.
Part I -"HILL 789" / Part II - "Knights of the Sky"
Dimitri Dimancescu went to war in Aug 1916, followed later by his brother, Ion. The film covers his dramatic experiences on the Romanian Front and encounters with British Col. Norton Griffiths sent to sabotage Romanian oil wells and fierce battles against Lt. Erwin Rommel on Hill 789.